2018 was a fickle year in Real Estate. The year started with sky-high home prices, historically low mortgage rates and a definitive upper hand for sellers. In recent months though, home price growth has wavered, rates have risen to their highest point in nearly eight years, and favor has started to shift from seller to buyer. 2019 predictions are showing that we are moving from an incredibly hot real estate market to a more normalized one. Housing inventory looks to rise back up to 2017 levels, and price growth, while likely still positive, will be the lowest we’ve seen since 2014 or possibly even 2011. Investors and house-flippers will back away from the cooling market and sellers will have to adjust their price expectations as buyers grapple with rising mortgage rates and already-high home prices. A still-growing economy and increased access to credit will support more home buyer demand, but higher interest rates will make home-buying more expensive, so it’s hard to say whether home sales will stay down or rebound next year. 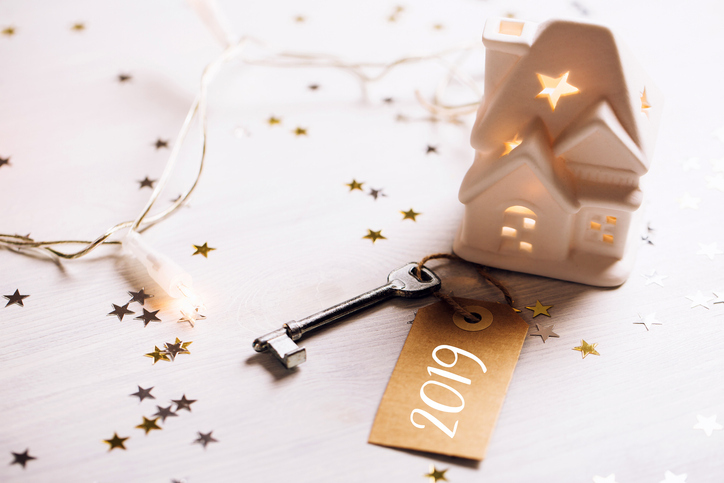 In 2019, homebuyers will enjoy more inventory and less competition from speculators and house-flippers, which will lead to more people enjoying the benefits of homeownership. It will cost more to borrow, but more people will have access to credit for home-buying. This will motivate lenders to expand their customer base to low-income borrowers and first-time homebuyers. But of course, lenders will charge more for these loans–both to cover the risk of lending to borrowers with less-than-perfect credit and to cover their own costs of borrowing. Homebuilders will be more cautious about building during a cooling market and focus on building starter homes that are easier to sell than luxury homes. Fewer homes will be built, but more builders will focus on starter homes. Higher labor costs will limit the number of homes built, but, higher wages will increase the demand for starter-homes among working-class Americans. Rates (perhaps three times) in 2019 will increase and push the average 30-year fixed mortgage rate up to about 5.5 percent by the end of the new year. All in all, housing is set for a slow-down next year, but that’s not necessarily a bad thing. The medium and long-term prospects for housing are good because demographics are going to continue to support demand. With a slower price appreciation, incomes have an opportunity to catch up. With slower sales, inventory has an opportunity to normalize. A slowdown in 2019 creates a healthier housing market going forward. This entry was posted in Uncategorized and tagged Real Estate in Community, Real Estate Professional Renewals, Real Estate Review, Real Estate Training Institute. Bookmark the permalink.